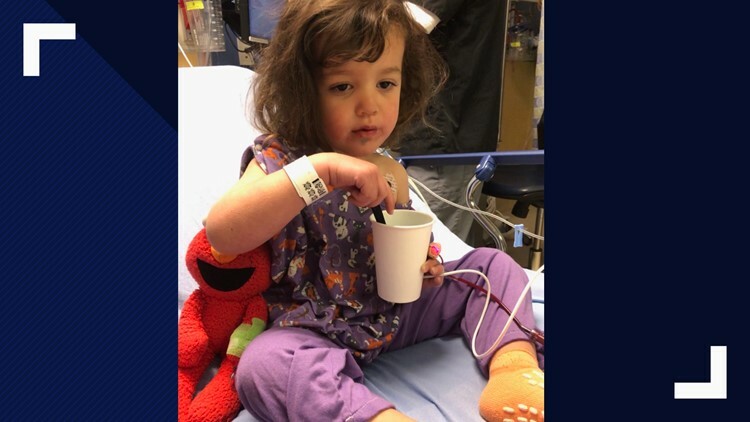 9NEWS Medical Expert Dr. Comilla Sasson reminds us how to prevent choking after her daughter ended up in the emergency room from choking on a peanut. COLORADO, USA — A child will die from choking every five days in the U.S. Kids younger than age 5 are at highest risk because their molars do not come in until 3 years old, and they are learning to chew their food. As an emergency room doctor and mom, I thought I had it all figured out. But my 2-year old daughter Madeline always finds a way to test everything I think I know. Madeline had found a Kind bar, with dark chocolate and some nuts that her big brother was eating. She asked to have a few bites of what was left. Even though I knew the hazards, I said yes, as long as I could watch her eat it and she would sit down to eat. She was eating when I heard her start to cough and gag. I ran over to her. She said her neck hurt but was able to talk and tell me it was hard to swallow. I did some back blows and a few abdominal thrusts to try to see if I could dislodge what was in her throat. She coughed, but never spit anything back up. Right after that, I gave her a few sips of water, and she went back to playing. She started to have a “croupy,” a barking cough every few minutes. I kept asking her, "Can you breathe? Are you ok?" 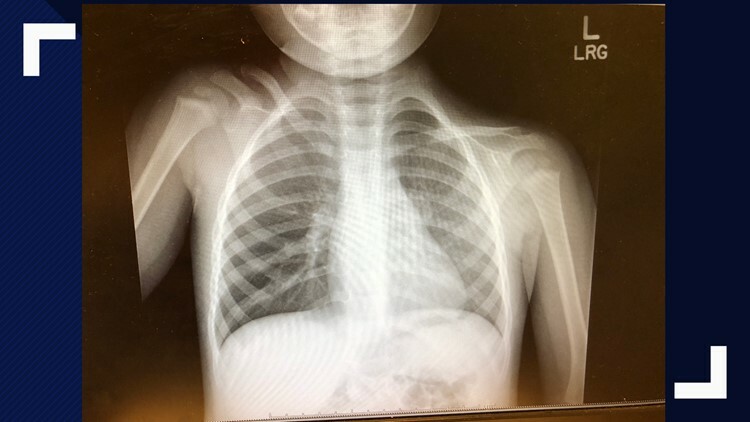 She said she was fine, but I trusted my "mommy instincts" and my ER training and thought, "We should at least get her checked out, and get an x-ray." In the ER, she continued to have her cough. Her vital signs were totally normal, including her blood oxygen levels and breathing rate. Her x-ray showed air trapping, which can indicate a blockage in the lungs causing the air space to look dark on the x-ray. A few hours later, we were transferred over to The Children’s Hospital of Colorado, where the team acted quickly to take her to the operating room. They removed a full-sized peanut from her right lung. Fortunately, I had been there with her when she was eating to hear her choke. 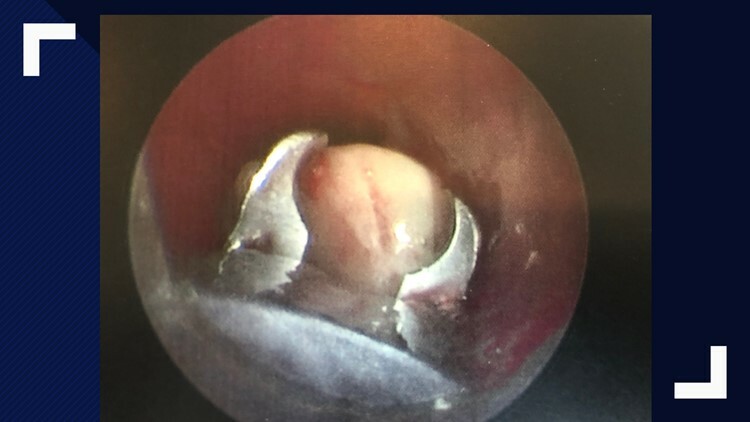 We got her to the hospital quickly and had it removed. Most importantly, I used this as an opportunity to reset and look at my own home again to see what can be a choking hazard for my daughter. Supervise your children while they are eating. Cut food into small pieces (D-size battery or less). Never let your children walk or talk while eating. Know CPR and choking relief for children and infants. Trust your gut. Choking can happen at any time or anywhere. If your child is not acting right, seek immediate help and get to an ER immediately.